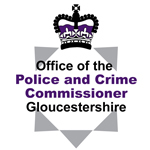 The ASB Case Review is now live throughout the County of Gloucestershire after a 3 month pilot conducted by Cheltenham Partnership together with Tewkesbury Safety. Put simply, it’s a way that members of the public can ask partners to collectively review their responses to complaints of anti social behaviour. The ASB Case Review has been designed to make sure agencies such as the police, local councils and housing providers work together to try to resolve complaints of anti-social behaviour. This means that they will not be working in isolation but will be working together to consider more creative solutions to tackle problems. How will we do this? We’ll talk about the problem, share information and act together to try and resolve the complaint. What is antisocial behaviour (ASB)? It can be any behaviour which makes you feel harassed, alarmed or distressed, and can affect anyone, including community groups and businesses. Graffiti, littering, damage to property, noise, street drinking and people hanging around outside shops or homes can all be reported as anti-social behaviour to the council, police or housing providers. What is ASB Case Review? The ASB Case Review is for you if you feel that no one else has dealt satisfactorily with the anti-social behaviour problems you have experienced. If you have already reported the problem to the council, police or housing provider, the ASB Case Review is a way for you to ask the agencies to review your case. It will make sure we work together to try to solve the problem. The application is made in reasonable time – allowing time for action to have been taken. A letter to acknowledge receipt of your application will be sent within five days. We’ll let you know whether you have been successful in applying the trigger and what happens next within two weeks. If your application is successful, we aim to let you know the outcome within three weeks. The ASB Case Review does not replace individual agencies’ complaints processes. If you (as an individual) have complained to Cheltenham Borough Council, Tewkesbury Borough Council Gloucestershire Police and/or a Registered Housing Provider (social landlord) three times about separate incidents in the last six months, and you think that it has not been dealt with satisfactorily. As the main social housing providers in the Cheltenham and Tewkesbury area, Cheltenham Borough Homes and Severn Vale Housing Society are taking part in this Pilot, if you are unsure if your Housing Provider/ Landlord is taking part please contact them directly. How to use the ASB Case Review?